Interstellar is a movie which takes us to the stars, to galaxies beyond our comprehension, to the blackest corners of the universe. More impressively, particularly from as detached a director as Christopher Nolan, Interstellar takes us to places we know only too well too - the most tender and fragile parts of our soul. Nolan's latest movie is cinema of awe and wonder, of pathos, of fear - it is a movie of great spectacle, but one of wounded introversion too. Infinitely expansive in terms of visual, but frail and intimate in its emotional splendour, Interstellar is the cinema of the heart and the mind too. It is about the vastness of space and the vastness of our love also. Nothing - no moons, no spacecraft, no flares - feels as awesome, as deliriously transcendent , in Nolan's latest creation as the love a father and daughter share. For all his cold technical brilliance, which has never been in doubt, Nolan has often shied away from emoting or attempting to induce feelings in his audience - it may have taken him until nine films into his career to be brave enough to try something as audacious as this, but, without hesitation, it has been worth the long wait. Matthew McCoughnahey leads a brilliant cast as a former NASA pilot in a dystopian future in which the earth's resources are becoming scarcer by the minute; humankind's survival is in unspeakable jepoardy. 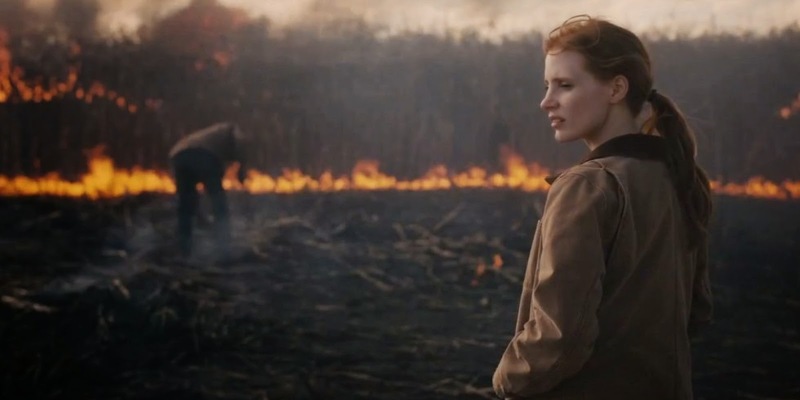 Channeling the patriotic American spirit, Interstellar suggests that even if our world were to die, mankind would not - our collective resourcefulness can overcome our inevitable fate. Without giving away too much of the plot, it soon becomes clear that not all of the feature will take place in the Steinbeckian dust-bowls which have begun to envelope the earth - the stars are the limits for our heroes in both a metaphorical and literal sense. Yet, wistfully, as much of the movie's narrative is made up of the concerns of those who are left behind, and the emotional state of the leaving, as anything else. Whilst many science fiction spectacles will show space travel, showing heroes travelling towards a great goal, few are as concerned with reminding us where they are travelling from. McCoughnahey continues his hot streak of incredible performances as a man torn between his duties as a father and as one of the few who could possibly save the entire human race - he brings nuanced gravitas and anxiety to his role with aplomb. 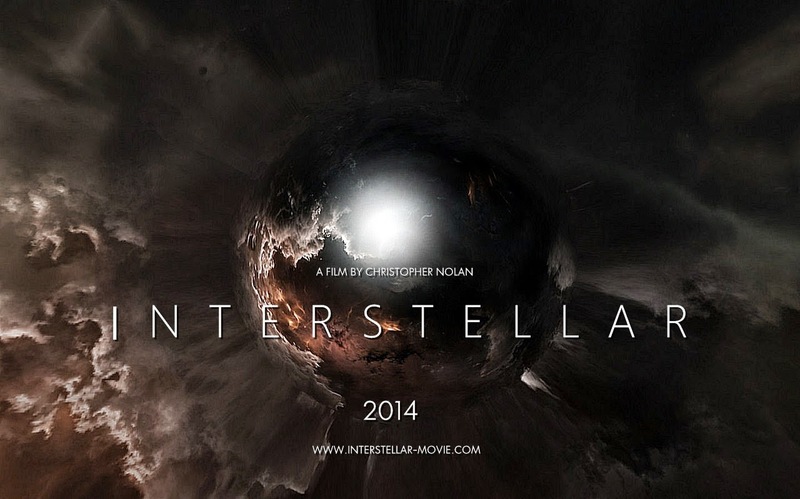 Unlike Gravity, a film of special effects but lacking in humanity, Interstellar is a movie about so much more than the rush of exploring the universe. Whilst Nolan's film shows space travel in impossible splendour, it also shows home is where the heart is - and family is the greatest home we will ever have. No distance, no time, will ever be more powerful than the love we share according to Interstellar - as powerful a notion as found in any humanist work of art. Whilst the film may not be perfect - (there's too many artificial lens flares, a strange number of out of focus shots and (when screened in IMAX) the constant change in ratio during scenes) - these are small quibbles. The cinematography is stunning and entirely convincing, the acting (from McCoughnahey and Hathaway in particular) is top notch and the episodic narrative keeps the audience hooked from end to finish. What Nolan has created is a thrilling, touching journey and perhaps the most admirable, and pioneering, science fiction feature of its generation. A milestone in modern special effects cinema, the British director may have made his first truly great movie.